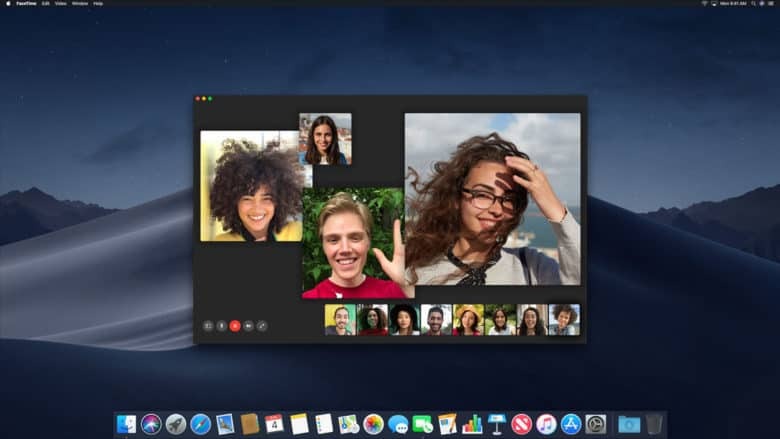 As with iOS 12, support for FaceTiming multiple people simultaneously won't be a part of macOS Mojave when it first launches. Apple just released a fresh beta of macOS Mojave to the public, on the way to a full launch this fall. While betas usually bring new capabilities, the one just introduced is missing a feature. Earlier this week, Apple said Group FaceTime won’t debut until later this year. It’s now been pulled from the latest iOS 12 and macOS Mojave betas. On the plus side, macOS Mojave beta 6 includes a much-improved Migration Assistant — the tool Apple built to help Windows users switch to Mac. Developers got access to the sixth beta of this desktop/laptop operating system last week, and they’ve moved on to beta 7. But now it’s the public’s turn at beta 6. It’s available to all and sundry. Anyone who wants to test this early version of macOS 10.14 can do so after signing up for the Apple Beta Software Program. Those who have already signed up to test iOS 12 or an earlier operating system from the company don’t need to repeat this step. Of course, this requires a supported Mac model. Fortunately, this includes just about all of them introduced after 2011. And some caution. Caution is always required when installing beta software. This early version is guaranteed to harbor bugs, and not all features are working yet. Before installing this beta, do a full backup of your Mac. This will be handy when and if the time comes to roll back to macOS High Sierra. macOS Mojave brings a new Dark Mode, Dynamic Wallpapers and other improvements to the user interface. It also comes with a new way to install updates. One of the new UI tweaks in Mojave is “Stacks.” When requested, this organizes files into piles on the side of the screen. These can be categorized by file type, date or tags. The Mac App Store is redesigned in the same way its iOS equivalent was last year. It includes tabs offering curated software selections categorized by function. In addition, macOS Mojave brings some big security improvements. To help prevent companies from tracking you online, Apple added a feature that makes it harder to fingerprint the characteristics of your particular computer. In effect, this new macOS Mojave feature makes every Mac look the same.